The blurb on the front cover, by Nigel M. de S. Cameron, drew my attention ‘highly intelligent’ ’a model of exegetical theology’. 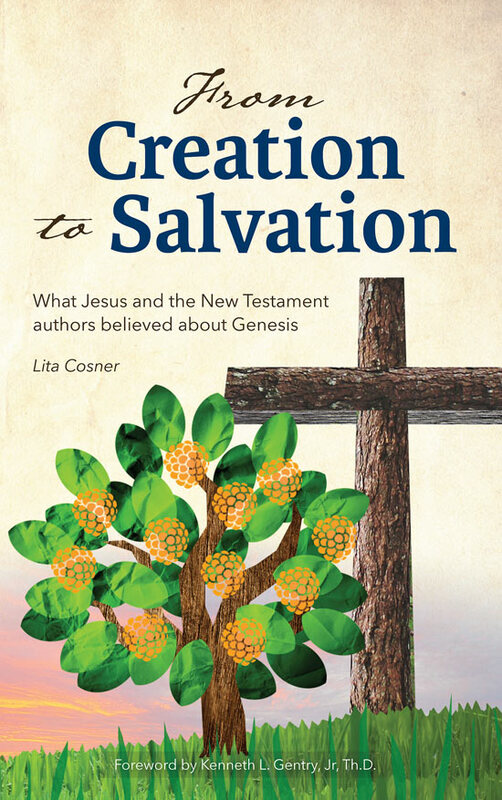 Knowing De S. Cameron’s book Evolution and the Authority of the Bible, I knew that this would be a book by a theologian with the courage to ‘tell it like it is’ namely, that the straightforward meaning of Genesis is the only one which an honest exegesis allows. Besides being a qualified theologian, Douglas Kelly also has a good grasp of philosophy and a reasonable one of science, which all taken together makes this an important work—though more care in some areas, including proof-reading, may have prevented some significant annoyances. For example, the author appropriately cites the example of the now-discredited phlogiston theory, but seems unaware that this historical concept referred to oxidation, not light. The opening chapters deal with some rather ‘heavy’, but nonetheless important, philosophical issues. The author’s introduction recommends that people using this book for group study could skip these. However, I feel that this would be a pity, and in any case, if people could not plough through these successfully, they would be likely to bog down on some of the rest, anyway. I liked the way each chapter was followed by technical and bibliographical notes, even though these were often like separate chapters in themselves. The language of Genesis is so overwhelmingly clear and straight-forward, that I confess I have at times wondered in less than charitable terms about how certain theologians are able to face themselves in the mirror. I mean, of course, those theologians who, professing to be evangelical, tell us with a seemingly straight face that Genesis is meant to be telling us something other than an account of a real 6-day creation, global Flood and the like. Kelly shows how evangelicals end up in such a bind because their primary authority source is the conclusions of ‘science’. Like the liberal theologians, they believe in an old world, millions of years of death before sin, etc. Because they want to retain at least a semblance of Biblical authority, evangelicals feel forced into all sorts of exegetical contortions to ‘re-interpret’ these early chapters somehow. Liberals, on the other hand, have no such problem. In fact, they are eager to testify to the truth, namely, that the Bible really does teach a literal, recent, six-ordinary-day creation. This is because they can then point to ‘science’ to show that the Bible contains overt myths and campfire stories, which allows them to claim precedent for overruling its authority in any other areas they choose (ordaining practicing homosexual clergy, for example). If it were true that Genesis does not mean what it so plainly says, and if the ‘long-ages’ view of creation is true, then God would have misled His people for centuries, deceiving them into believing something which was virtually the exact opposite of the truth. Death would not be the penalty for sin, but would be part of the normal ‘order’ of creation, for example. Among those so cruelly misled and mistaken would be the Apostle Paul and Jesus Himself. 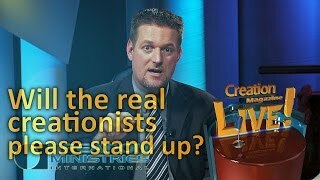 Kelly briefly rebuts the common fallacy that postulating supernatural creation is somehow unscientific by definition. 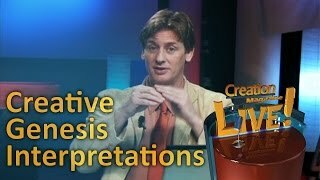 By the second chapter, he moves into his specialty field, and shows how the language of Genesis simply will not allow the fanciful ‘re-interpretations’ so commonly applied. ‘do violence to Scripture [and] foster a style of interpretation by which the text is forced to say whatever the interpreter desires’. Kelly refers to these harmonization attempts by evangelicals as reflecting the ‘exegesis of desperation’. The way forward, he says, is to let the Scriptures speak for themselves, as an authoritative revelation from the Creator Himself, and to look critically at the reigning scientific paradigm in the light of the Bible, an approach we would wholeheartedly endorse. Unfortunately, although Kelly understandably and strongly points out the biblical deficiencies of the ‘gap’ theory, he makes an earlier statement on the grammar of Genesis 1 which some gappists could twist to gain comfort. His foray into the scientific arena, while generally good, falters in places. He appears to be up with the works of ‘intelligent design movement’ theorists like Behe and Johnson, but unfortunately seems to not have kept up with all the latest information from those who, like himself, presuppose the truth and authority of the Bible. He appears to rely significantly on the work of Scott Huse (he keeps referring to him as ‘Hulse’). 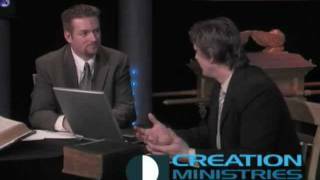 Huse is a well-meaning creationist writer whose books we at Answers in Genesis ceased to stock years ago on account of their being more than occasionally sloppy and out-of-date. For example, Kelly relies on Huse to list a summary of the findings of the empirical fossil evidence’. One item on the list is that ‘There are no transitional forms between reptiles and mammals’. But what about the mammal-like reptiles, which are surely reasonable candidates for an evolutionist to claim, being both stratigraphically as well as morphologically intermediate? Now please don’t misunderstand my point. I do not accept them as being true intermediates, and they are one of the very few, if not the only, plausible candidate groups in a record noted for its huge gaps (from an evolutionary viewpoint). Nevertheless, with the heading to this list as quoted above, and considering there are no qualifying comments (such as appear later in the list concerning ape-man intermediates), the reader is entitled to conclude that there have been no discoveries of any good candidates for an evolutionist to claim as truly intermediate between mammals and reptiles. We do ourselves a disservice by allowing readers to form such misleading impressions, even if this was not the author’s intent. Recognizing that the main issue of controversy among evangelicals is the alleged scientific evidence for an old world, Kelly’s seventh and eighth chapters are devoted to this issue. Before dealing with radiometric dating and supplying various evidences for a young world in chapter eight, the seventh chapter is on ‘The age of the world and the speed of light’. Like many of us, it seems the author is still tantalized by the several lines of evidence which seemed to independently confirm the Setterfield hypothesis, even though he lists some detailed critical commentary on some of its unsolved problems. He is also aware of Humphreys’ relativistic cosmology, and gives it a reasonable hearing. His main point seems to be to get readers to understand that there are a number of possible paradigm shifts which could accommodate the evidence as well as being faithful to the plain meaning of Scripture. 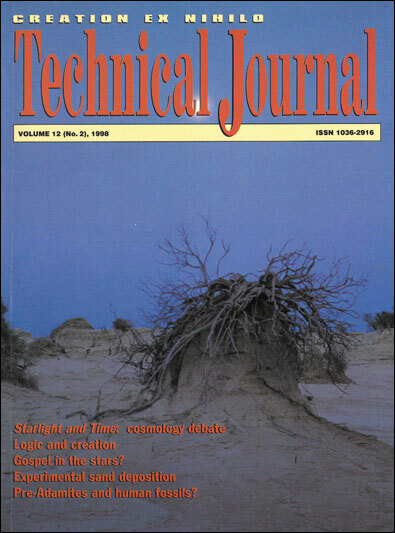 In his list of young-world evidences, he brings up the dust on the Moon issue, showing that he is unlikely to have read the article Moon dust and the age of the solar system by Snelling and Rush in the Creation Ex Nihilo Technical Journal (7(1):2–42, 1993). However, it has to be said that he does not appear to be relying only on the now-discredited high influx rate of the evolutionist Pettersson. He quotes the astronomer Lyttleton concerning the dust which he suggested would be created by the high-energy radiation coming onto the Moon’s surface (unprotected by an atmosphere). Even though only about ten-thousandth of an inch would form each year, after billions of years this would presumably still add up to a very significant amount more than what was found. However, Lyttleton wrote in 1956 before Pettersson, so Kelly has not kept up to date. Besides, Lyttleton’s suggestion has not been taken seriously and has not been supported by any lunar data collected by the Apollo missions. I particularly appreciated the section on the fourth day, especially where he deals with the claim by Hugh Ross and his disciples that the sun and stars and so on were not really created on that day, but only ‘appeared’ from behind a previous thick covering of cloud. The Rossists do this, of course, because their presuppositions require them to remain at all times in step with the conclusions of cosmic evolutionary teaching, particularly the big bang’ theory. In these cosmologies, the stars, including the Sun, must have existed a long time before the Earth. Yet this is most emphatically not what Genesis teaches—according to the Hebrew, the light-bearers were created on the fourth day (as all Bible translators realize). In summary, a worthwhile book, if somewhat meaty at times, by a trained and competent theologian/exegete. 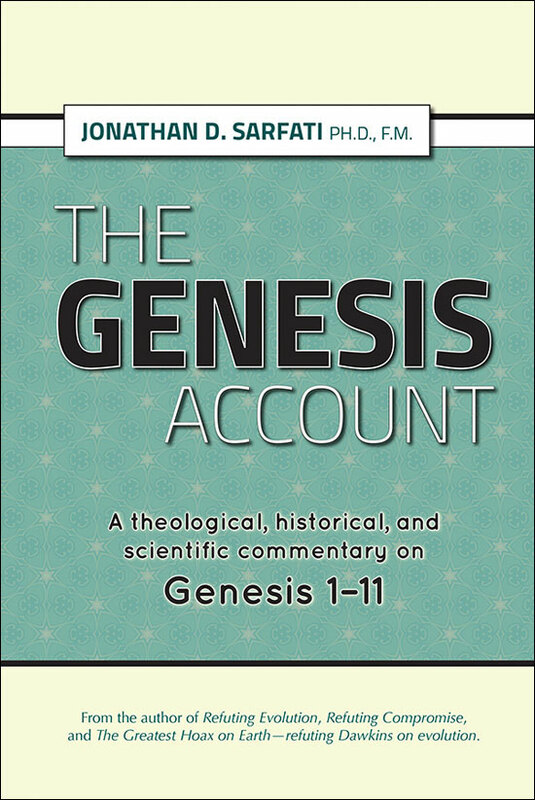 It is particularly suitable for those who wish to either reassure themselves that Genesis really does mean to tell us what commonsense has always indicated, or to refute the specious arguments of theistic evolutionists or progressive creationists who claim otherwise.